Flavorful food can still be managed without much hassle in the kitchen, no need to sear, no need to stir-fry, no need to marinate, no need to bake, and no need to fry. Sometimes just a pungent sauce can do all the tricks. 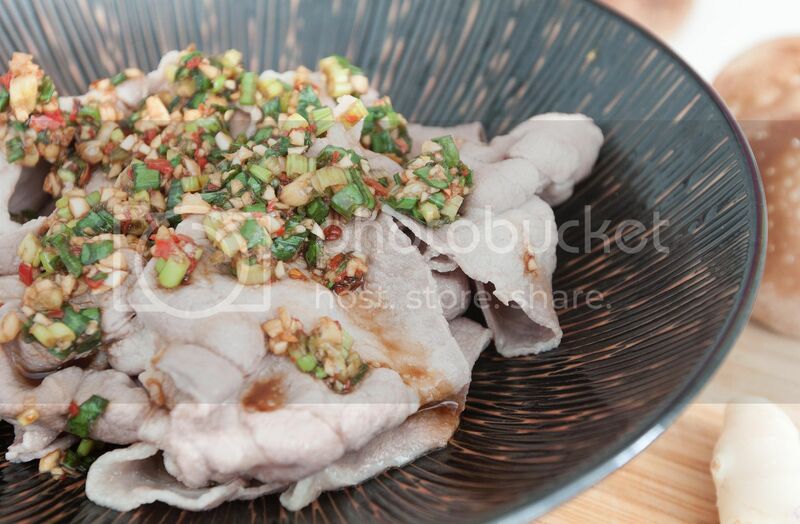 Since the only main ingredient is pork, try to use quality pork slices with some fat throughout and avoid lean meat. Peel and finely chop the garlic cloves. Trim off the chili stems and finely chop the remaining. 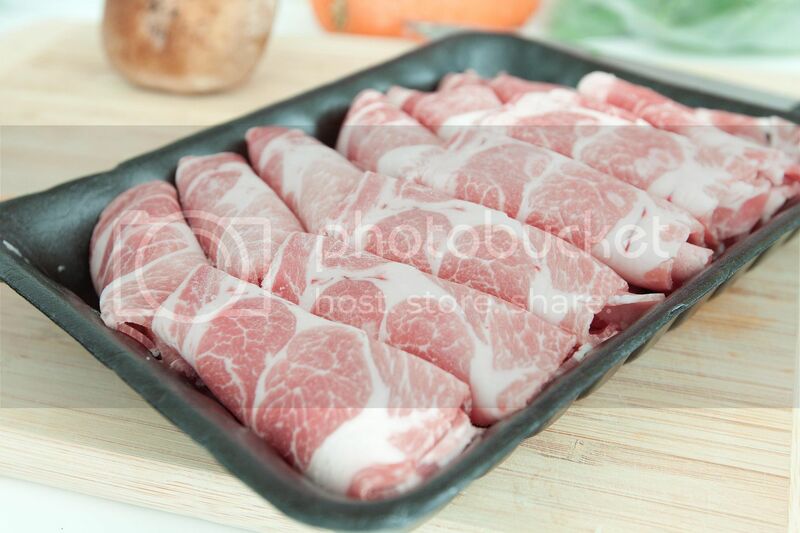 Bring a medium pot of water to a boil and shabu the pork slices. Once nearly cooked through, drain well and transfer to a serving dish. The remaining heat will finish cooking the pork. Mix all the remaining ingredients except for the cilantro. Whisk till the sugar has been fully dissolved. 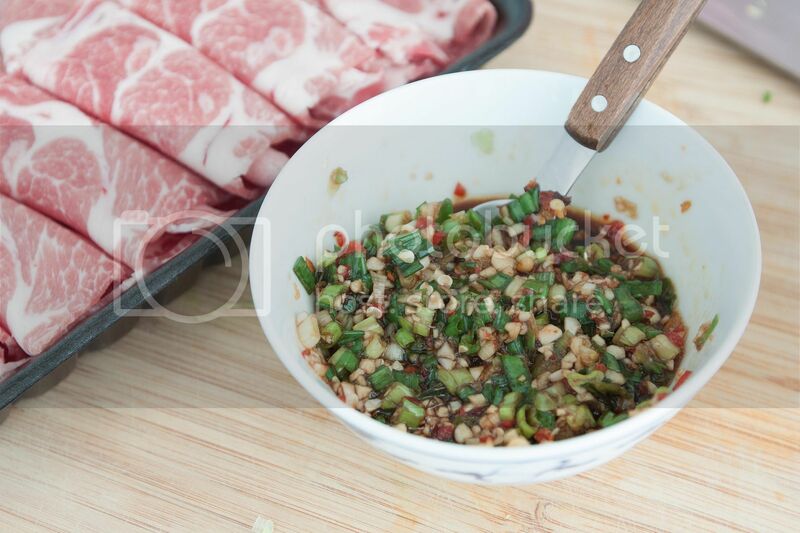 Drizzle the sauce all over pork slices and garnish with chopped cilantro if desired. 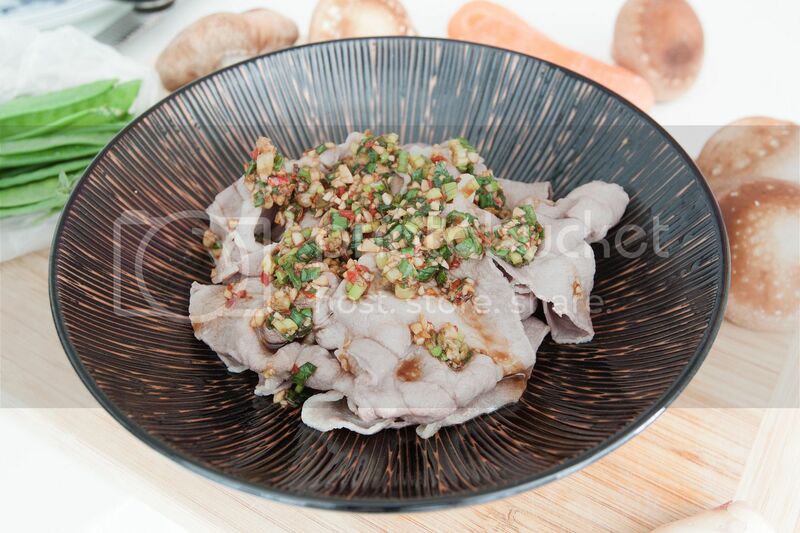 This pungent sauce also works well on seared fish fillet, but that defies the purpose of this no fuss cooking recipe. 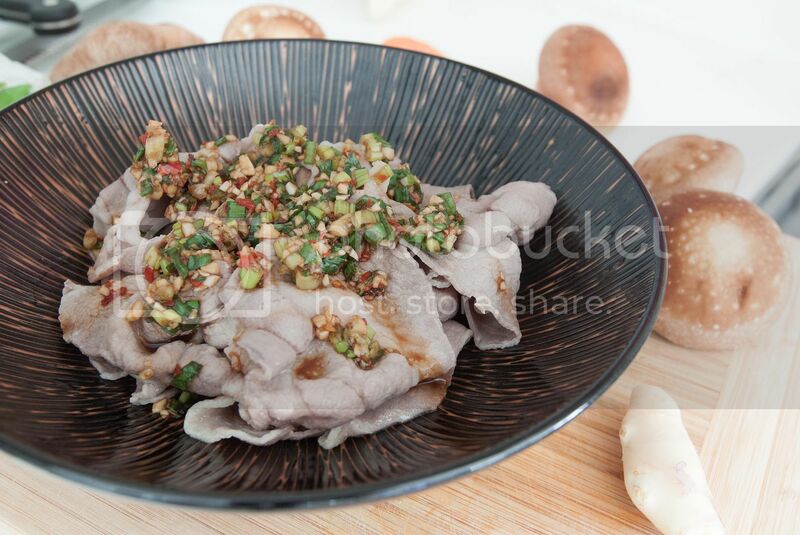 Try steamed chicken, use the dark meat of course, or even mix the sauce with plain noodles.